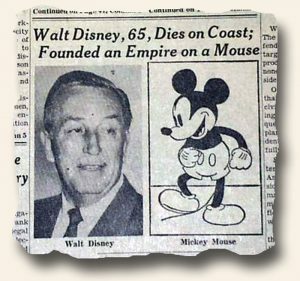 Movie prop newspapers are exactly that – newspapers which have been created for the purpose of being used within a specific movie. e wrote on this in detail at: http://blog.rarenewspapers.com/?p=8860. Over the next few weeks we’ll roll out a series of such issues for which we cannot determine the movie from which it came. Can anyone help? If so, please let us know. 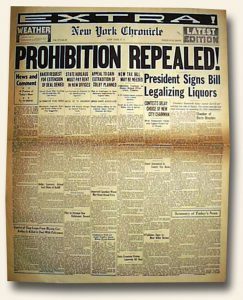 Today’s issue is The New York Chronicle, undated, with the featured headline: “PROHIBITION REPEALED” (see image). Today I traveled to New York City by the way of The New York Times dated August 2, 1966. There I found tragedy had stuck the campus of University of Texas. 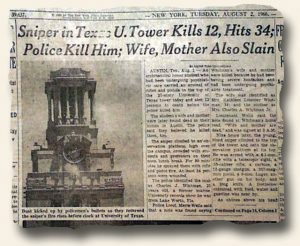 “An architectural honor student who had been undergoing psychiatric care carried an arsenal of rifles and pistols to the top of the 27-story University of Texas tower today and shot 12 persons to death before the police killed him. 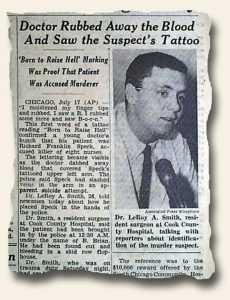 The student’s wife and mother were later found dead in their homes… The police identified the man as Charles J. Whitman…”. In all, he had shot an additional 34 people. 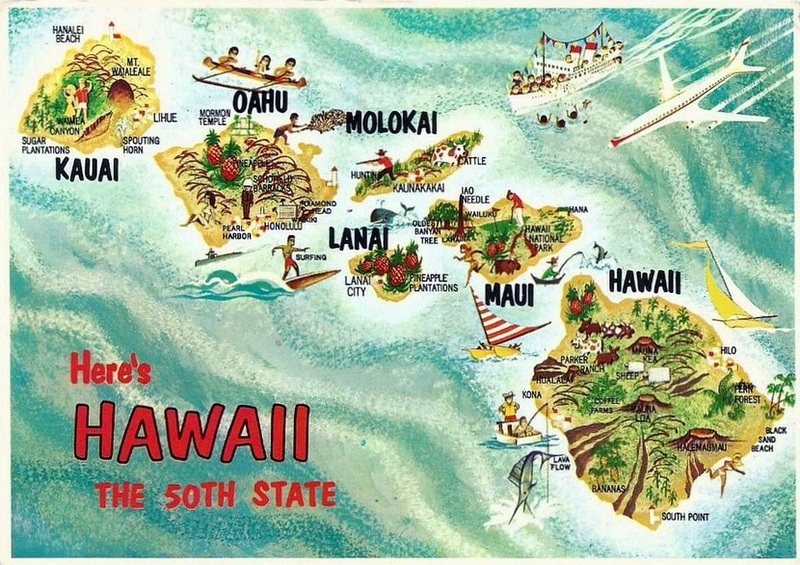 Hawaii, one of the tiniest states and the only one made up entirely of islands, formally became the 50th state in 1959 (August 21, 1959). But Hawaii’s story starts long before 1959. Polynesians, the earliest inhabitants of these islands, settled here over 1,000 years ago. British explorer Captain James Cook, in 1778, named them the Sandwich Islands. 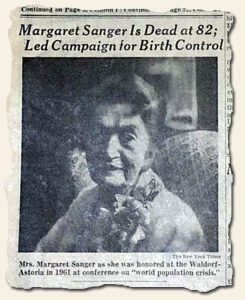 Fortunately, this name didn’t stick. Shortly thereafter, American traders made a beeline for Hawaii’s sandalwood. From July 7, 1898, Hawaiian Islands were an organized incorporated territory of the US. The genuinely interesting question about the Hawaiian Islands becoming a state is the reason it took so long. Over sixty years elapsed from the time Hawaii had become a US possession before it became the 50th state. There were several Hawaiian petitions for statehood in the early part of the 20th century. These petitions were either denied or ignored altogether. Some in the US had felt that the Hawaiian Islands had no natural connection with the remainder of the mainland US. Most obviously, Hawaii wasn’t a contiguous territory. It lay 2,000 miles from the US coast. The clout of the American plantation owners in Hawaii resulted in its annexation in 1898. The protection of the plantations owners’ financial interests played a huge part too. They were keen on gaining exemption from paying import taxes for the sugar that they shipped to the mainland US. The plantation owners also wanted to safeguard their large land holdings from possible confiscation or annexation under a renewed Hawaiian monarchy. 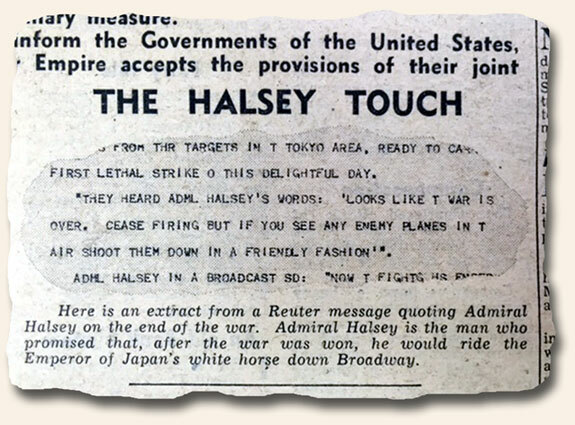 The sentiment in the US about the annexation of the Hawaiian Islands was always strong. The people felt it’d be an imperialistic, unjust, and hence, a most un-American move. Hawaii wasn’t only about sugar. It was an important coaling station for naval vessels, as well as, a potential major harbor. In the 18th and 19th centuries, Great Britain, Russia, and Japan had pressured Hawaii for trade concessions. At the time of annexation (1898), the monarchy had been in existence for just about a century. Originally, the monarchy had leveraged the firepower of the European sailors to consolidate power. An element of brutality was involved too. A high percentage of Hawaii’s Caucasian residents had been there for so long that they considered themselves native. Additionally, numerous Chinese, Portuguese, and Japanese immigrants had come to Hawaii as agricultural laborers and settled down permanently. The six-decade reluctance to alter Hawaii’s status from a US territory to state lay both within the Hawaiian Islands and the US mainland. In the mainland, it concerned the uncertainty and fear about permitting electoral authority to any one ethnic group. It wasn’t merely ethnically Polynesian versus Caucasian. In the Hawaiian Islands, some ethnically Polynesian Hawaiians didn’t favor the change to a US state from the existing US territory. This is mainly because, although they were comfortable feeling almost “American” as long as Hawaii was a US territory, they were apprehensive that’d change in case Hawaii became a state. After WWII had ended, the occupation of Japan by the Allies fuelled their fears even more. The Polynesian Hawaiians’ fears originated from a belief that the Japanese populace on the Hawaiian Islands (almost as high as 30 percent) would, in the event of universal franchise that statehood authorized, organize and vote itself into leadership. And Polynesian Hawaiians considered that the Japanese ascent to Hawaii leadership would result in an overall Polynesian descent in Hawaii. At the instant of the vote to statehood, almost 90 percent of Hawaii’s populace comprised US citizens. The importance of Hawaii in WWII had secured its identity as 100 percent American both in the minds of the mainlanders as well as the Hawaiians. Additionally, persistent and successful lobbying of Congressional representatives in the initial phase of the contemporary Civil Rights Movement swayed enough members of Congress into accepting the Hawaiian statehood. They were prepared to overlook the islands’ racial makeup. Why Didn’t Guam or America Samoa Become a State Too? Almost 18 years after the Pearl Harbor attack, Hawaii, considered a distant frontier of American settlement, was declared a US state in 1959. Since the 1820s, European Americans had settled down in Hawaii and established English as a language. Additionally, an American-style legal system had been introduced early on, and the US dollar was the main currency. In the case of American Samoa, indigenous Samoans make up almost 90 percent of the population. Hence, it’s unlikely that American Samoa will ever become a US state. In the case of Guam, the indigenous Chamorros make up almost 37 percent of the population. The remainder includes Filipinos, Chinese, Whites, Japanese, Micronesians, Vietnamese, Koreans, and Indians. It’s highly unlikely that Guam will become a US state in the near future. After WWII had ended, Hawaiians themselves desired US statehood. Even during the 14-year intervening period before Hawaii was formally conferred statehood, the “49th State” Record Label was immensely popular in the Hawaiian Islands. Eventually, Alaska became the 49th state at the beginning of 1959. Several months later, Hawaii became the 50th. If you are ever in Hawaii and want to learn about Hawaiian culture, take a few Hawaii Tours that encompass Oahu and the other islands. You’ll learn see where the Hawaiian battles happened, see the beautiful nature, and stop by Pearl Harbor. 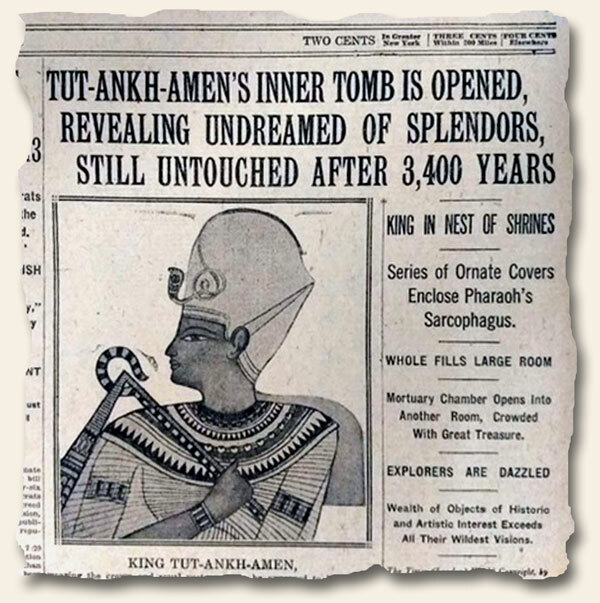 Today I traveled to New York City by the way of the New York Times dated October 20, 1915. 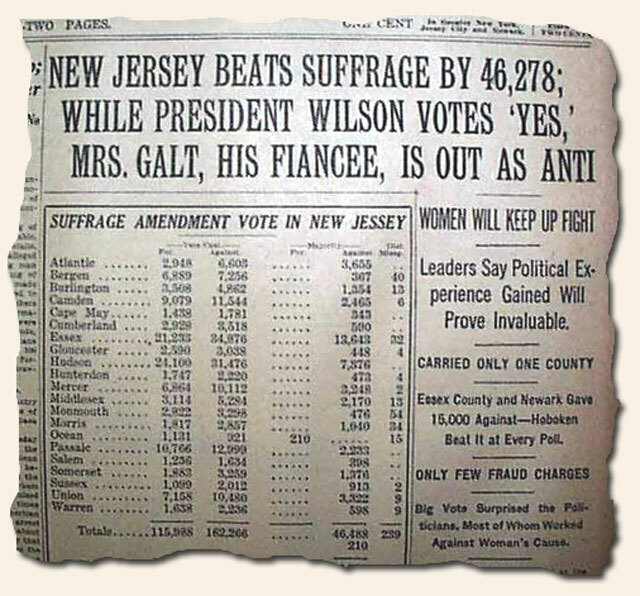 The headline is “New Jersey Beats Suffrage by 46,278; While President Wilson Votes ‘Yes,’ Mrs. Galt, his Fiancee, Is Out As Anti”. 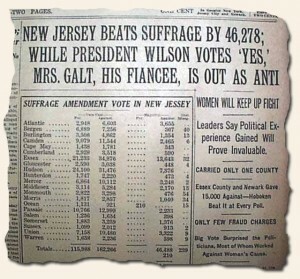 “Woman suffrage was defeated at the special election in New Jersey yesterday, when it had its first test in any Eastern State… President Wilson’s endorsement of the suffrage cause and his pledge to vote for the Constitutional amendment on which the suffragists of New Jersey had built such strong hopes did not help to carry the day for the suffragist even in the precinct where he himself cast his ballot yesterday… Mrs. Galt, the President’s fiancee, while Mr. Wilson was on his way to Princeton to vote “Yes,” let it be known in Washington that she is opposed to women voting…”. 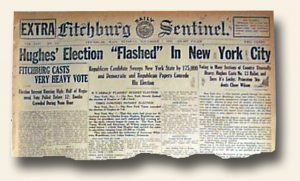 While their opinion differed on the topic of suffrage, that did not hinder their relationship as they were married just two months later.